It was a sad realisation to come to that I no longer like Insurgent. I read it for the very first time in August 2013. Then I picked it up for a re-read in November 2015. The book is the same as it was before. The story hasn’t changed. The words haven’t changed. I’m the same person but I’m the paradox that changed. Consequently, my perception of things has shifted. Insurgent was a sequel to Divergent that excited me more than the first book did. By then I already understood the world, and Veronica Roth wasted no time recapping what happened in the previous book. She dived right into the action of Insurgent and got on with it. What gripped me the first time round was missing from my re-read. On the whole, Divergent and Insurgent were my gateway into modern dystopian fiction. I had read some when I was younger but that was years ago. Contemporary fiction had become my comfort zone with the occasional science fiction or mystery. I didn’t even read fantasy or historical fiction until I started book blogging. Come to think of it, book blogging must be part of the reason I found no joy in re-reading Insurgent. 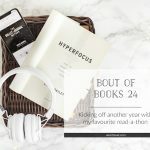 Through book blogging I discovered so many books I previously didn’t know of. 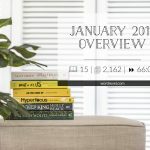 I went from reading 30 books in 2012 (pre-blogging), to 67 books in 2013 (new to blogging) to more than 100 books in 2014 (established blogging). That increased volume of books has given me a lot more material to compare. With that comparison, Insurgent just doesn’t excite me anymore. That’s the other factor: excitement. When I first read Insurgent, everything was new. The concepts were so different from the books I had read over the years prior to it, making Insurgent unique to me. Now it doesn’t stack up anymore. I’ve found more amazing books since then. Comparisons aside, re-reading also shines light on things previously gone unnoticed. I identified aspects that upon further reflection weren’t all too logical. Knowing the story, I focussed my reading on the finer details, the ones I glossed over when I first flew through the book. These details became so glaring to me, I wondered why they hadn’t bothered me before. Simple: they escaped my notice. Is Re-reading not for Me? Generally, I don’t re-read much. That’s why I first questioned if I should forget about re-reading a book I used to love, lest it also becomes a book I no longer like. I like being kept on edge, to learn and discover new things. Re-reading takes that out of the experience. Things are no longer new. Yes, there are the smaller details that I might discover for the first time but is that enough? I seek whole new experiences in books. That’s why I hate spoilers so much. Yet, I think re-reading isn’t something I should abandon. If I re-read a book several times over and still love it, then it has withstood the test of time. These aren’t random gems; these are diamonds. They continue to shine, bringing constant joy to the reader in me. That’s why I say, while re-reading may not always work, it still is worth it, so that I may be delighted when it works out so much better than I had hoped. Take Harry Potter and the Philosopher’s Stone. I’ve re-read it thrice. That’s some sort of record for me. I’m gearing up for the fourth re-read with the illustrated edition and I’m certain that I will love it so much more with Jim Kay’s stunning drawings to accompany the story. Interestingly, I hated it on my first attempt and abandoned it after just a couple of chapters. I was 9 years old then. I tried it again when I was 12 and thought it was okay. At 13 I also thought it was okay. Then I read it again last year, listening to the audiobook and I was surprised at the level of humour it embodies. An additional plus was that Jim Dale delivered the narration so well. Earlier this year I read the ebook and found myself smirking once more. While I don’t consider this a favourite book of mine, it is a book I definitely appreciate. It’s a good book and very deserving of its successes along with the rest of the series. Despite my disappointing re-read of Insurgent, I will continue re-reading books I used to love. I liked them when I did for a reason and I sincerely want to continue liking them, even if the reasons change. There’s just something wonderful about knowing that these are the books you can rely on for when you’re seeking comfort above all else. These are the books you can rely on to withstand the test of time. Over the past few months I took stock of the books I used to love and the ones that left an impression on me when I first read them. The Vow, for example, meant so much to me because one of the main characters felt torn between Jordan and the USA. His life was in the USA but his family hailed from Jordan where he had spent many holidays visiting relatives. With The Raven King on the horizon, I plan to re-read The Raven Boys as well as the other two published sequels. These were clever books with lots of attention to detail. The reason I seek to re-read at least my selected stack of books is that in my never-ending pursuit of new stories, I don’t have a set of comfort reads. That’s not necessarily a bad thing. However, the more I think about it, the more I’m reminded that that’s part of the reason I buy books. I always have the intention of returning to each of them one day. If I don’t, I might as well go back to borrowing 90% of the books I read and spend my money on other things. How has re-reading impacted your view on books? 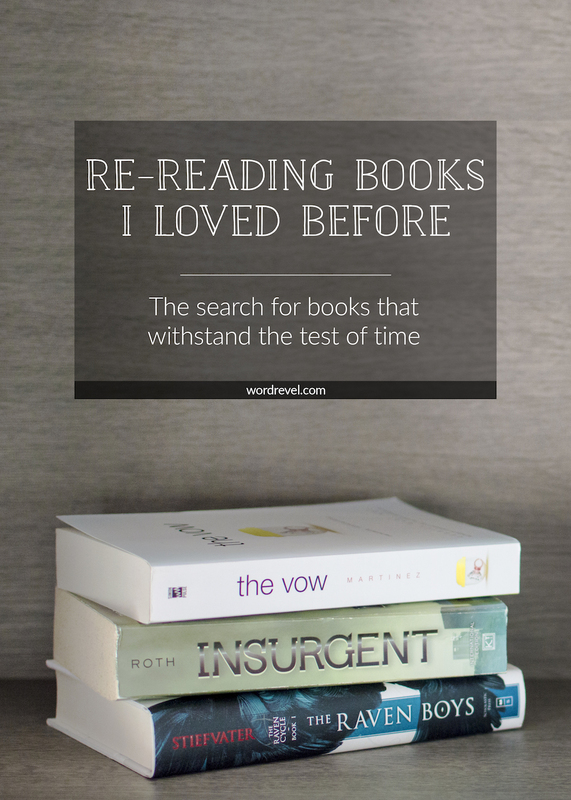 Which books have withstood the test of time for you? This seems like a good idea. I’m going to start re-reading my favorite books soon. I’ll share my opinion again if it worked for me or not. Until I was about fifteen, to me “I liked this book” was exactly the same thing as saying “I’m going to re-read this book a dozen times.” For this reason, I remember books from my childhood far better than most books I’ve read since. I don’t re-read any more, mostly because I’m always on to the next book–my “to-read” list on Goodreads has over a thousand books, so…yeah. There is one exception though–as a parent and as a teacher, I wind up re-reading alongside kids. Picture books get read to the point of memorization, and it quickly becomes clear which ones will stand up to that level of repetition. I wouldn’t have re-read Harry Potter, but I’m working my way through the series as a read-aloud to my daughter. 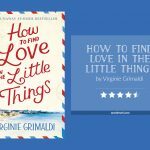 We are both loving it, and seeing it through her eyes is making it magical for me in a way I don’t think it was on my first read-through, when I was in my thirties. When I read to a class, whether we’re studying the work (The Giver, Holes, Nightjohn, The Raven) or just reading aloud for pleasure (Joey Pigza Swallowed the Key, The Crossover, Don’t You Dare Read this Mrs. Dunphrey, Orbiting Jupiter), the slower pace and the student involvement really helps me pick up on details of the writing that I wouldn’t notice at my usual breakneck speed. I thoroughly enjoy re-reading in this way. Harry Potter is a book that I’ve reread so many times I can’t even count. When I was in college and didn’t have much time for pleasure reading, it was a constant comfort, something familiar and easy I could slip into, and I loved that. I don’t reread as much as I used to, but my reason is more because I feel guilty for all the new books I haven’t read yet. That being said, I’ve reread The Raven Boys and its two sequels twice now and enjoyed it infinitely more the second and third time. I had a feel for her writing style and the pace of the book, which helped. And there is so much detail to pick up on. 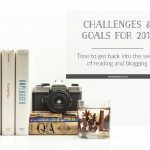 I think it will be a rewarding reread for you :) I’ve read a few contemps multiple times too; to me, it’s like watching a favorite romantic comedy in book form. And I LOVE watching favorite movies. I hope your rereads will go well in the future! There are books like Fangirl that re-reading only makes me love them more but then there are some books that I just don’t think I’d love the same if I ever re-read them, so I don’t, and I continue on in my merry ignorant way. In fact, it happened to me with Divergent. 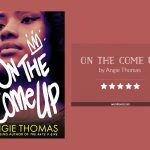 I read the book over and over again before I started blogging and I went to read it again in the beginning of last year and I could get through it all. It’s a sad thing that our opinions and tastes can change, but unfortunately it’s going to happen a lot. It’s been awhile since I reread a book but the main reason I’ve avoided rereading books is because I’m worried I won’t enjoy them as much the second time. I have quite a few childhood books I miss but I think rereading them would probably ruin my memory of them.. I suppose there are a few books I want to reread (the one I have in mind right now is Angels and Demons by Dan Brown) because I want to refresh my memory and I think I enjoyed it the first time around. 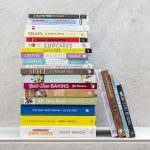 For some reason, I can’t help feeling like rereading is boring because I already know what will happen…by consuming so many new books last year, I’ve come to rely on that sense of excitement when you turn each page and don’t know what will happen next. Rachana @ Addicted to YA recently posted i ‘m (sort-of) rewriting vivid! I used to reread my favorite books ALL the time before I was a blogger! It was partly because I could only afford to buy books every so often, but also because I drew so much comfort from the characters and stories I loved. After I became a blogger, I spent my first few years NOT rereading, and instead acquiring all these shiny new books one after this other. In the past two years, I’ve finally returned to rereading, and I’ve had varying experiences (which I’ve written about on the blog before). Sometimes, I fall in love with something I didn’t enjoy as much originally. Sometimes, I fall OUT of love with something I was obsessed with back on the day. And sometimes, if I’m lucky, I feel the same overwhelming love that I had for a book the first time I read it (which is the case with the Harry Potter series). I know what you mean, about how one part of your enjoyment of a book comes from the excitement of all the newness of it. Rereading books do make me pick up on nuances, so I think books like If I Stay, which I found okay, might be better the next time around, especially after watching the movie. Shannelle recently posted A Brief Update. Oh, and Take a Survey for Me? I’m always terrified of rereading because of that chance that I may not love the books the second time round. To avoid this I try to go in to a reread not think too much or make or anything. I try to just go in and enjoy it for what it is and for what it meant to me when I first read it. I also love rereading because of all the foreshadowing gems and things that I missed and now can have a proper appreciation of because I know the full story. Currently I’m rereading all The Lunar Chronicles in preparation for Winter. There are a few other series I need to reread the first few books in before continuing with the sequels because I’ve forgotten so many details. I’m not really a big re-reader myself and I think I’ve re-read only 7 books in 2015. Nowadays I mostly feel the urge to re-read books when they are part of a series and a new book is coming out and I’ve forgotten most of what has happened before in the story so that I basically do it to refresh my memory. Another motivation for re-reading for me is when books are turned into movies and I want to compare the movie version to the book so that I re-read the book short before or short after watching the movie. But there also exist books that I’m re-reading just for fun like the HP books which just never get boring and it’s always great to go back to Hogwarts and experience all the magic all over again. Rereading a a child would’ve been a nightmare. I devoured anything that had words printed on them. Lol. That was fuelled by the fact that my local library back then had practically no restriction on loans. As long a my sister and I could carry the books ourselves, the librarians checked them all out for us Lol. Then the two of us would spend our afternoons sprawled out with those books, soaking in all the new stories. Yeah, you can’t exactly forget who the murderer was before rereading a thriller. Lol. I totally get this! As time moves on, you change as a person. The experiences that once shaped you might not be so instrumental now, and that can be reflected in the opinions you have of the books you read. For example, I used to really love dystopia, but now I see so many repeated tropes, and it’s just as if you are reading the same book multiple times for me! Before I started book blogging, I actually re read a bunch of books and didn’t find anything wrong with them, but since then, I’ve started reading more and more books, and found books with similar tropes, which is why I think I’ve found some rereads to be a bit …disappointing. Great post – I didn’t really realise this until now! After spending my high school and college years, I used to read and re-read the same books. I’ve read the Twilight series twice (no shame), the Jessica Darling series (well, the first 3 books) about 3 times, and there was a portion of time that I would read all 6 Scott Pilgrim books and start book 1 as soon as I closed book 6. I re-read because they were books I had in my personal library after years away from accumulating books. Then, because reading became such a large part of my life again (and eReaders were born), re-reading became a thing of the past. My TBR is out of control, with so many books I have wanted to read and even books that I might have already grown out of. Still, I find myself wanting to re-read. As you mentioned, building a personal library is great because you have access to the books you’ve read. Sometimes a book makes more sense, sometimes you drift away. But there little pieces of your life you get to revisit if you choose. I definitely think my opinion of the Divergent series has changed since I first read it. I tend to look back at Goodreads and see the 4 and 5 star reviews for books I hardly remember now. But a book you can visit again and again? You’re right. It won’t happen all the time but when it does, that’s something special. The search for those special books has also seen me return to the MG books I remember reading as a child. Reading these brings back memories of my mindset during those times and it’s been such a fascinating way to revisit the past. I don’t reread much either (in fact, the Harry Potter series and Lord of the Rings are the only books I can remember rereading more than once), so I always wonder if I would like some of the books I have really enjoyed as much on a second reading. I know I wasn’t massively fussed about Insurgent on the first reading, but I think that was because I loved Divergent so much that it didn’t quite live up to my expectations. Maybe it just spoils it a bit when you know the ending? I guess when you aren’t wondering what will happen you notice flaws or inconsistencies more. Interesting post! I may have to try rereading, and see what happens. When it comes to re-reading, I usually only pick those books I loved or the ones that had a lot of ideas that would be fun to analyse on a philosophical level. Haha. I’m a huge re-reader and always have been, although now the majority of my re-reading is done via audiobook. There are plenty of books on my favorites shelf that I’ve only read once, but the ones I’ve read over and over belong to an even more prestigious category. These include Harry Potter and Tamora Pierce’s Tortall series; I lost count years ago of how many times I’ve read them. There are even more that I’ve only re-read a few times, such as The Raven Cycle, the Sevenwaters trilogy, the Gemma Doyle trilogy, Sisterhood of the Traveling Pants, the Lord of the Rings, His Dark Materials, Fire, The Scorpio Races, etc. They’ve all stood up to re-reading, reconfirming them as favorites. I have terrible book amnesia, so re-reading helps to solidify books in my mind. If a book is well-written, there are ALWAYS details missed the first time, and it never gets boring. I’m the reverse! I like listening to the audiobook first, and then return to the written word later to analyse the ideas and concepts. I love to just immerse myself in the narrator’s voice and soak up the story. 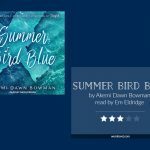 Audio’s so much richer and adds so much atmosphere too, I want to experience the whole package when I listen to an audiobook. Heyyy! As I garbled on Instagram- the Study series continues to stand the test of time for me. As does almost ANYTHING by Richelle Mead. I struggle to find the motivation to reread a book because once you’ve been there once you can’t get back that initial magic and wonder and excitement. But I agree. I recently reread Red Rising and Golden Son by Pierce Brown as part of a readalong (the final book comes out soon and I AM SO EXCITED) And you’re definitely right about seeing those details and finer points that you might have missed the first time. I also feel like for me, a book has to have a fantastical element for me to feel like returning to it. If it’s a contemporary then it’s going to age eventually. Fantasy worlds don’t age the same way. They DO age in the sense that an idea or a device becomes tired or cliché. Wow. I’m rambling. Did any of that make sense?? No worries about the garbling ;) I love it when my thoughts build up a conversation! For many years the idea of rereading didn’t even cross my mind — reading to me was about discovering new books and stories. Revisiting didn’t fir into that framework. Literature classes reinforced that because I absolutely detested one of the set texts. But a few years later I was introduced to a book I adored and had to read five times over for Literature. That made me realize the beauty of getting to analyse the words and ideas after the novelty of the suspense has worn off.